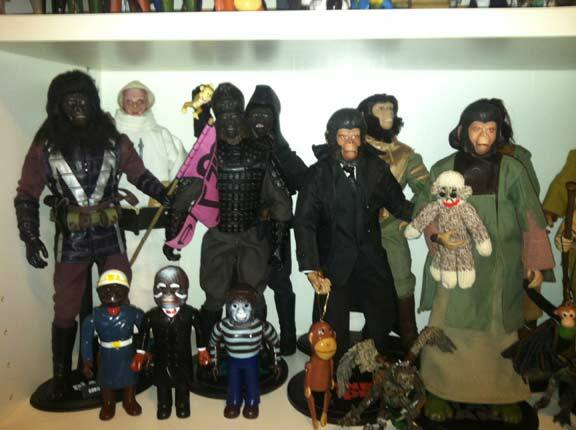 Planet of the Apes of course, features heavily in the collection but as you can see it's a nice variety. 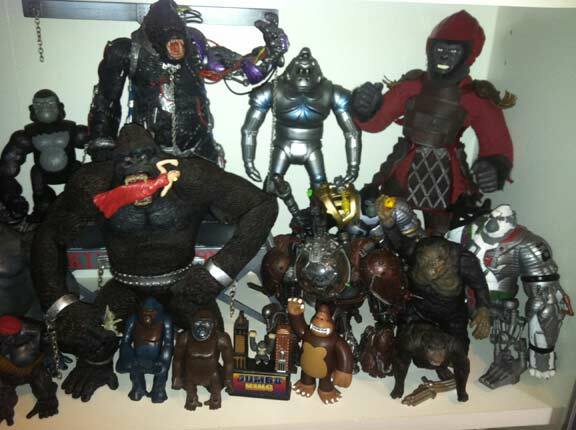 In front of the Mego and Action Apeman figures are some dollar store knock off Ape figures that came out around 2001. 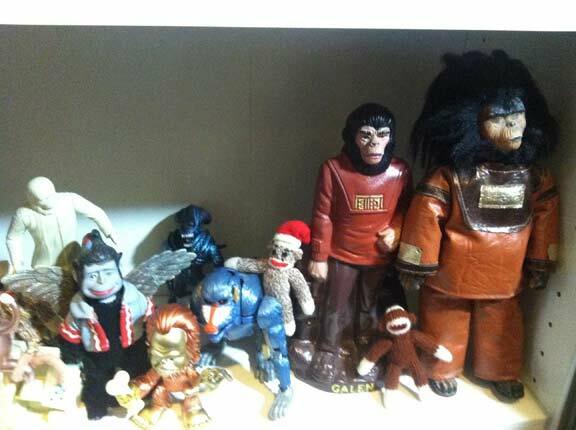 These Sideshow Ape figures tempt me at every Toy Show. 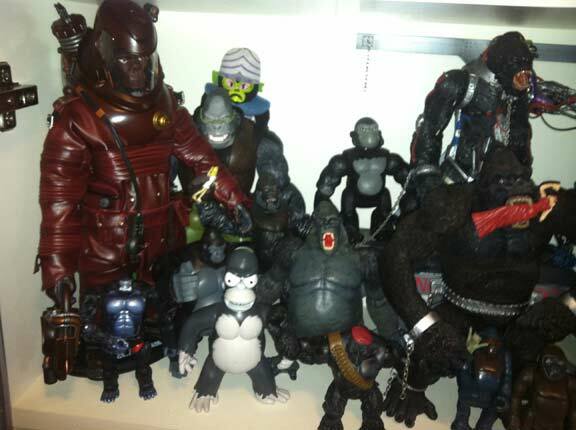 While the custom Cornelius is nice, I am in love with the Japanese "Time of the Apes' figures. Hey! 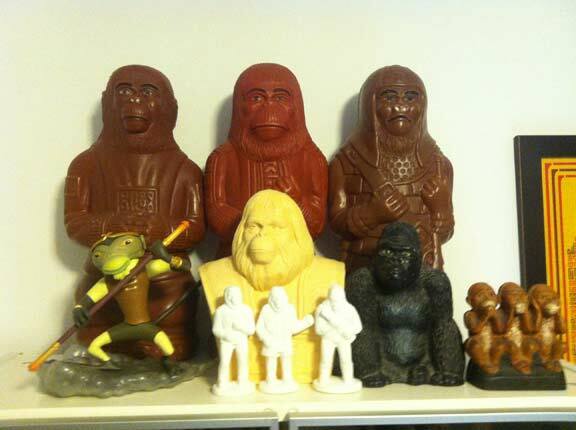 A Fisher Price Gorilla from the Adventure People Safari set, I still have mine! 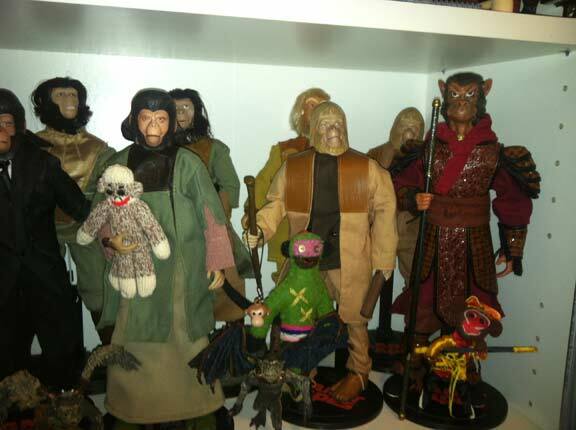 The Multiple Toys Planet of Apes figures are nicely in the Front. 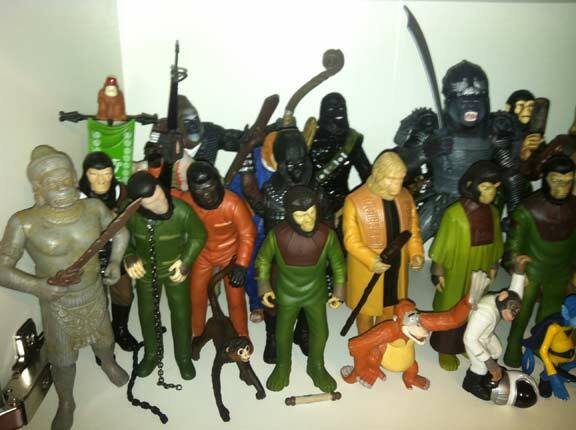 AHI wind up apes, a Mego Bend N Flex of Dr Zaius and I think I see a Comics Spain POTA Soldier Ape in there, this is way too a well rounded collection for me to get them all. 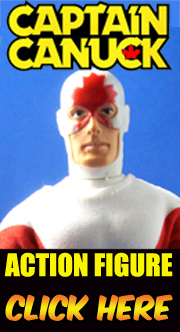 Ah, the remarkable plush Dr Z from Well Made Toys. 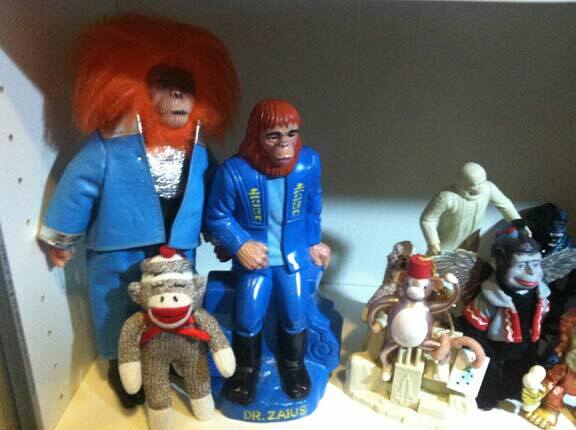 Cornelius and sock monkeys, wonderful. Thanks for sharing the fun Kip! 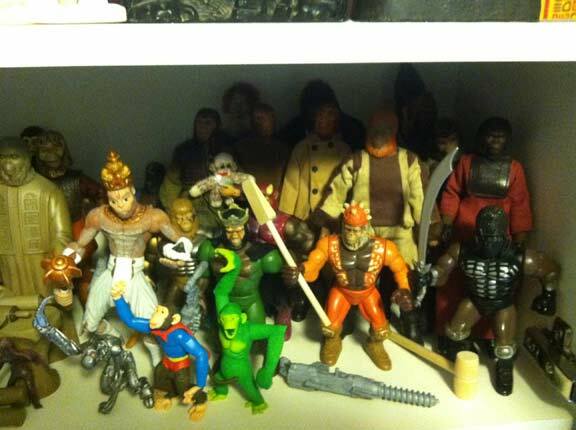 Got a cool collection and want to share? Send it on down! 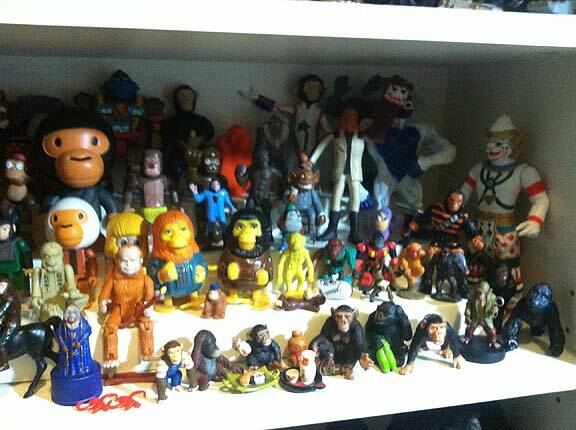 Oh and I've added some new vintage toys to my Ecrater store, check them out and maybe add to your cool collection? 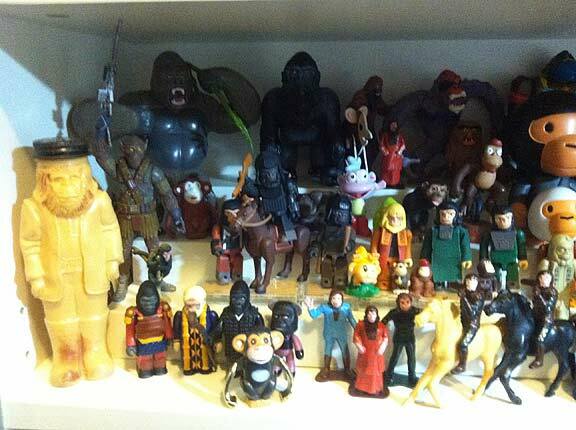 I still have the dune buggy, zebra, cage and Marlboro Man-looking dude from the FP Safari set. I seem to remember there being a lion, too?